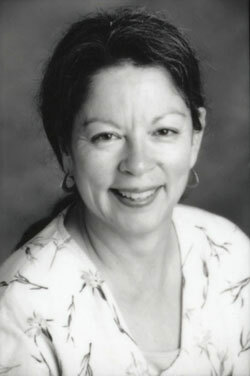 Our dear friend and colleague, Karin Durán, passed away on June 11, 2010 as a result of complications from a stroke. It is difficult to enumerate Karin's contributions to the Oviatt Library and the CSUN community in a single page. Karin began working as a Librarian here in 1972. During her 38 years with us, she had many different responsibilities. Her focus was on reference, instruction and bibliography. Karin also greatly enjoyed her responsibility for the Teacher Curriculum Center—a service to which she was devoted. Karin kindly acted as the Interim Associate Dean in 2005 and as Acting Department Chair during some of the earthquake recovery period. She loved her various responsibilities and this showed in the high quality of her work. As a senior member of the faculty of the Library, Karin also served on many personnel committees—a duty she carried out with thoughtful consideration. She was also called upon to serve on personnel committees in other departments. She was an excellent advisor on personnel matters. 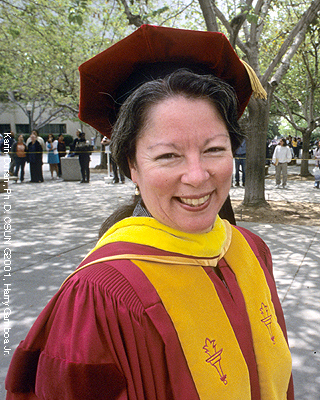 Since 1977, Karin was an instructor with Chicana and Chicano Studies and very engaged in the life of the department. She was devoted to the students who learned a great deal through her research course. Karin was an active University citizen serving on a variety of committees and initiatives including the Honors Convocation, University 100, the Teacher Education Council, the Education Doctorate Advisory Board and as an advisor to the Gamma Alpha Omega Sorority among many other activities. Karin was recently inducted into Phi Beta Delta Omega for international scholars. Karin was recognized by the Faculty Senate for her exceptional service when she received the “Extraordinary Service Award” in 2006. Karin was also very active professionally especially through REFORMA and CARL. Karin also continued to publish and present and shared her extensive knowledge and experience with her colleagues. Many were proud to call her their mentor. Karin was very active with the community through a variety of organizations including Comision Feminil de San Fernando Valley. For her service to many organizations, she was commended by various elected officials for her efforts for many years running. Karin was a graduate of CSUN with a major in Spanish. She went on to take her M.L.S. at USC and her Ph.D. in Library Science at USC. Karin was awarded an “Outstanding Achievement Award” by the La Raza Alumni Association and also a “Service to Society Recognition” from CSUN’s Alumni Association. Whatever Karin undertook, she did with her whole heart. She was dedicated and professional. She was deeply committed to the students and very concerned that they would have a good life. As a colleague, she was exemplary. She was knowledgeable, smart, thoughtful and helpful. Every day of her working life with us, she made a contribution. She gave of herself generously and was always willing to be a member of the team. On a personal note, I had the privilege of knowing Karin for 18 years. We had countless conversations across the years. Her personal dignity, her deep respect for others, her generous nature and her sincere wish for everyone to do well were the hallmarks of her character. I will miss her very much. I know you join with me in expressing our deepest sympathies to Karin’s husband, Rick, and to all her family. Here in the Library, in Chicana and Chicano Studies, and in so many departments and areas across the campus, throughout the profession and in the community, Karin had many friends whose hearts are also hurting. May we all express our thanks to Karin for sharing her life with us. It was an honor to know her.